The ultimate partner for your concealer, this brush deposits just the right amount of make up on your face, whether you fancy a subtle sheen or complete coverage. Made of dermatologically-tested synthetic fibres, it’s safe for even the most sensitive skin. Utilising her extensive experience perfecting faces at countless fashion shows and shoots, Danish-born make up artist Kirsten Kjaer Weis was well placed to come up with the ultimate make up application tools. 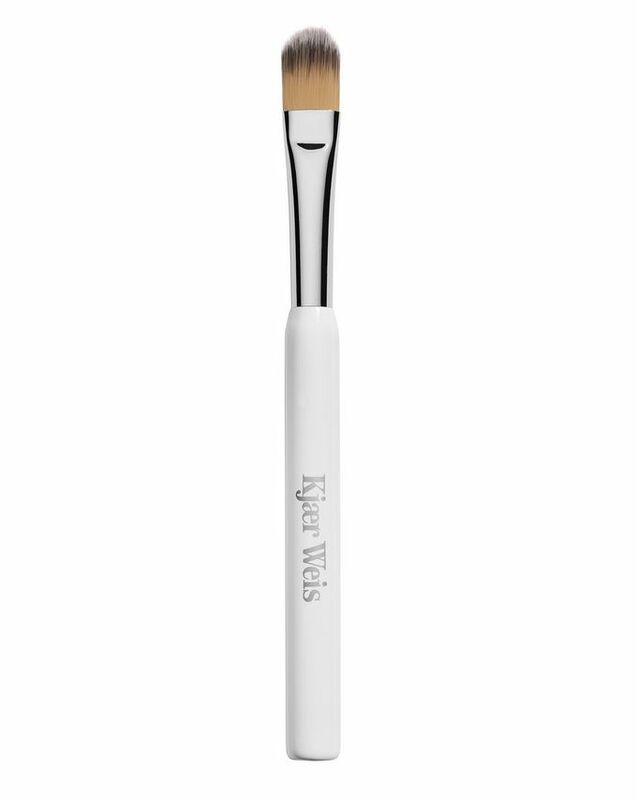 The Kjaer Weis Concealer Brush is a case in point – it’s the perfect partner for any concealer, applying and blending seamlessly. Composed of dermatologically-tested synthetic fibres, the smooth brush is safe for even the most sensitive skin and delivers just the right amount of make up to the face – starting with a light coating that can be built up for heavier coverage. The sleek white handle allows for ultra-chic brush wielding, while the size is ideal for travel as well as home. Coat the brush lightly with concealer then apply and blend. Layer up for heavier coverage.